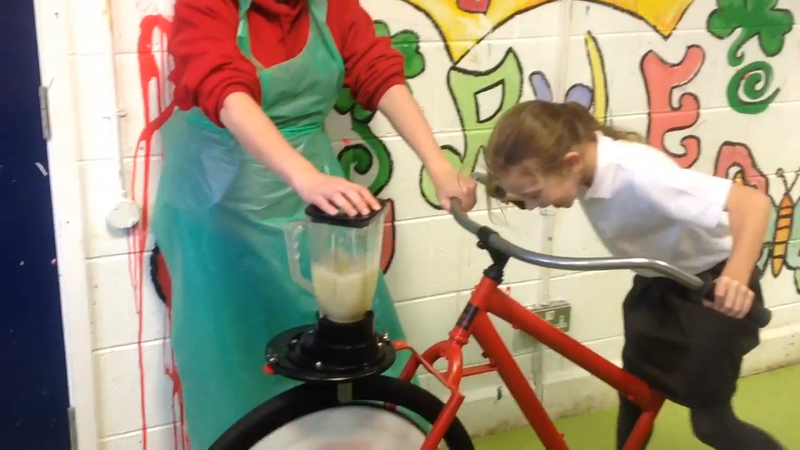 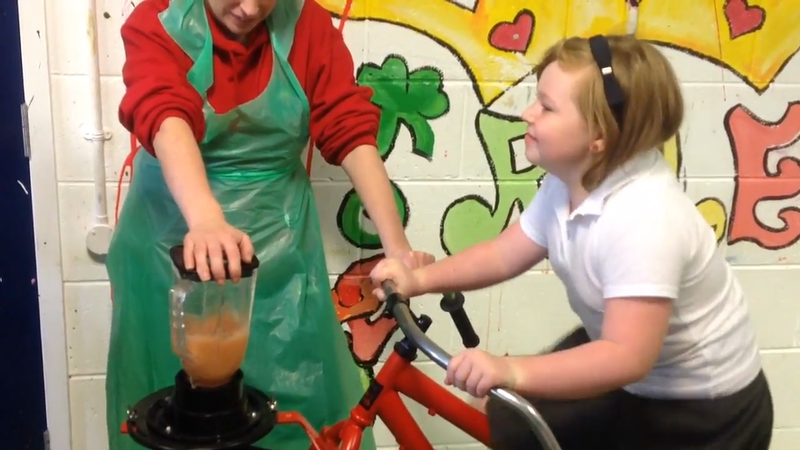 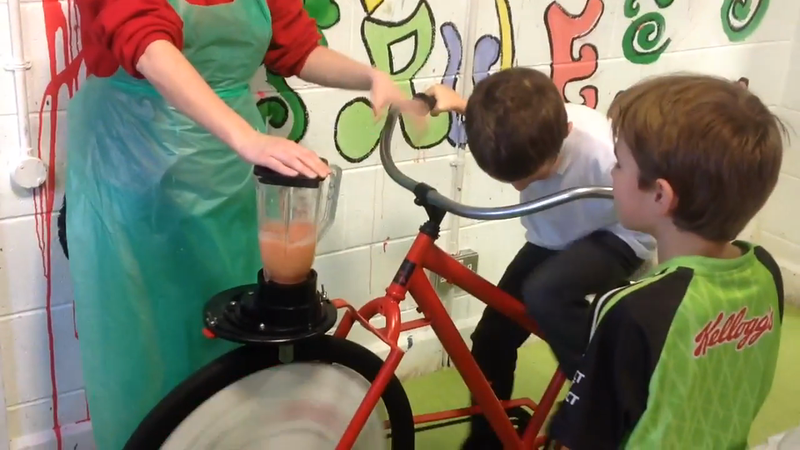 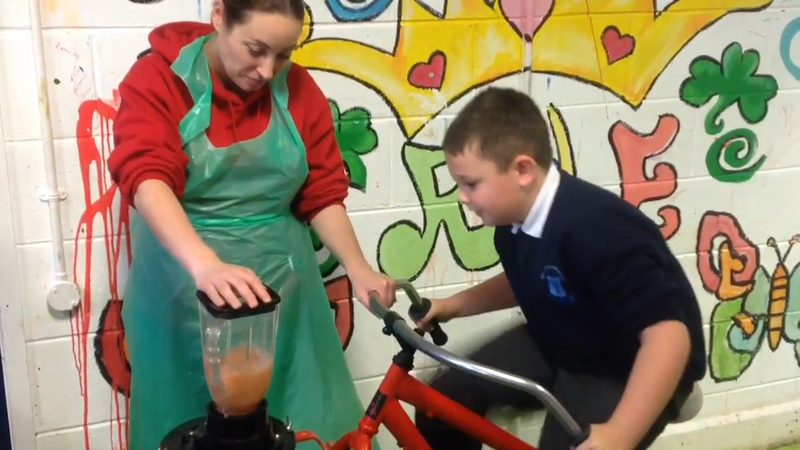 We had to pedal really hard to blend all of the fruit in our fruit smoothies. 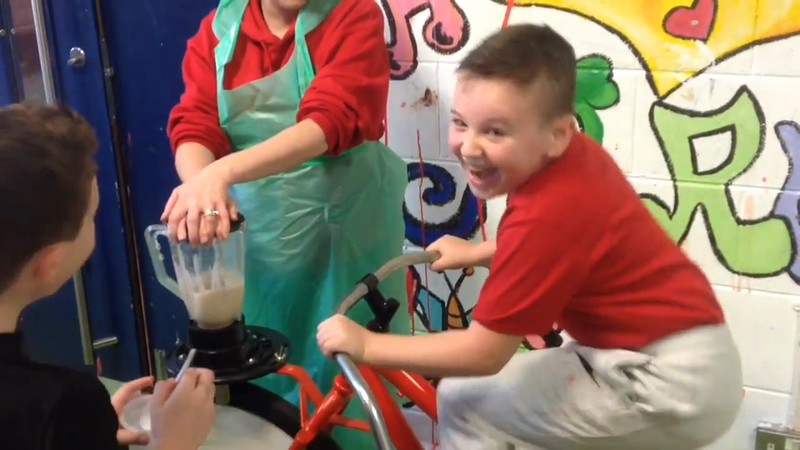 It was exhausting but it was lots of fun. 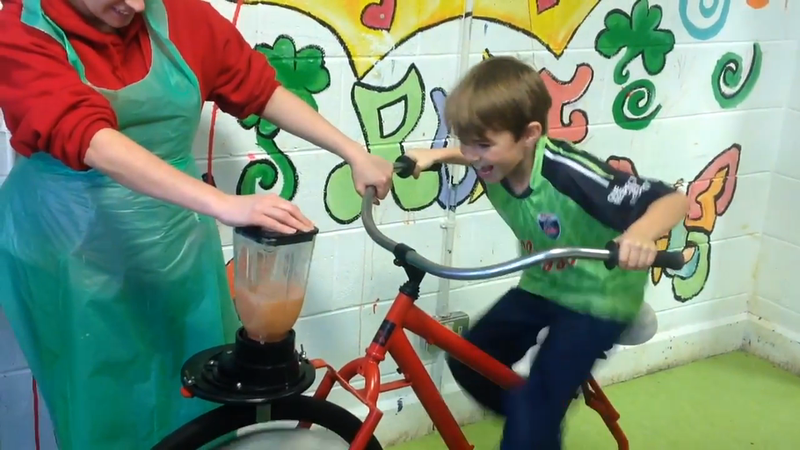 We made smoothies and did exercise at the same time.